Tristan Gooley’s first book, The Natural Navigator, was a wonderful blend of natural science, myth, folklore and the history of travel that helped us to learn how to look at the world around us. 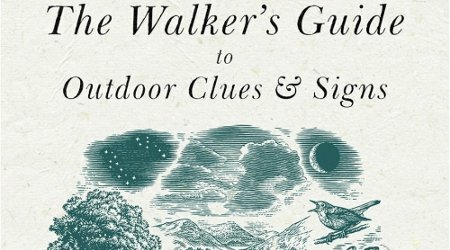 His new guide, The Walker’s Guide to Outdoor Clues and Signs, is the ultimate guide to what the land, sun, moon, stars, trees, plants, animals, sky and clouds can reveal – when you know what to look for. Brilliant for walkers, but also for anyone interested in learning how to interpret the world we live in, it’s a beautiful and fascinating ode to looking, and listening. Tristan is a wonderful speaker, and this event will introduce us to the wonderful clues and hidden worlds that lie in our landscape. The many of you who love the work of Robert Macfarlane and Robert Deakin will find this event a hugely illuminating experience, completely changing the way we ‘read’ the world.